Pearland neighbors! Spread the word! 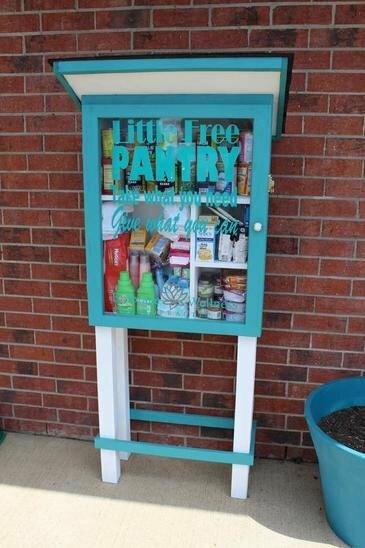 "My daughter's Little Free Pantry was installed yesterday and is now available 24/7 for anyone in our community who has need! Currently in the pantry there are non perishable food items, baby items (diapers, wipes, and food), and toiletries (shampoo, soap, detergent, socks, tooth paste, tooth brushes, deodorant! If you are in need, please help yourself! In addition, if you are not in need of help at this time but in a position to help others, please consider dropping off items into the pantry for others that are in need in our community. 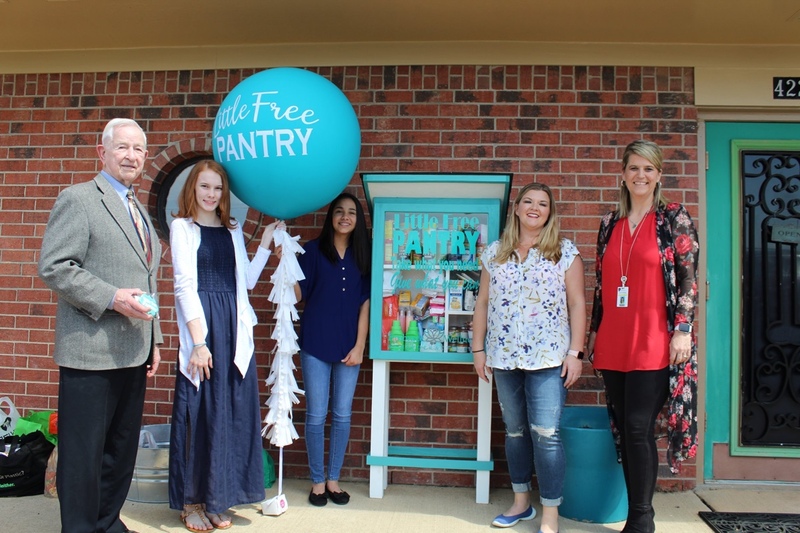 My daughter and her friend who built the pantry wanted to see our community helping each other so let's show these girls what our community is all about! Please share to family and friends! The pantry is located at Embrace Wellness & Chiropractic, P.L.L.C. at 4229 Wells Drive in Pearland, Texas!" That is so kind! I do hope only trustworthy people make use of it. This is a good act of kindness for those young ladies. Dorothy, you should be proud of yourself to had raised such a wonderful daughter! @Peartown98 : Not my daughter, my neighbor's daughter. My children are grown up and my granddaughter was not involved in this. @ollie1234 : Did a PPD officer actually say that? I hope not because that is awful, racist and bigoted. Wow, that is bad...illegals come in all races! If this program works it will help a lot of people. Hi. I'm Katey, one of the girls who made the pantry. I chose to do this because I have always wanted to help those in my community. And although this might not work for everyone, it is an honor system. Take what you need leave what you can. "Need" is a key word. If you don't need it, don't steal from others who might actually need it. 11% of Pearland is below the poverty line, so why should we steal from someone who doesn't have enough money for themselves, let alone to spare for you. @kmn12000 : Hi, Katey. I think you and your friend did a great job with this. I hope our community can do this on the honor system. Good luck in everything you do.